Micromax today unleashed its new smartphone , essentially a 5 inch “Phablet” , Micromax A116 Canvas HD which is powered by MediaTek’s MT6589 quad core processor with Android 4.1 Onboard. Powered by MediaTek’s MT6589 quad core processor clocked at 1.2Ghz and PowerVR SGX544MP, Micromax A116 Canvas HD is the First Budget Quad-Core Smartphone to hit Indian Markets. By sporting a 5″ screen with 720p Resolution,Micromax has also nailed the The Honor of Launching First Budget 720p or HD Smartphone at 15000INR and below. 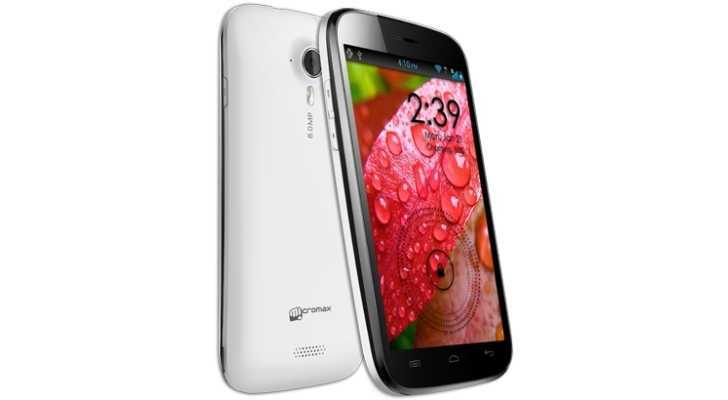 The Micromax A116 Canvas HD comes with Android 4.1 Jelly Bean,along with a 8MP main camera,1.3MP front-facing camera ,4GB of built-in storage (with SD card Support upto 32GB). Connectivity Options involve 3G GSM, Wi-Fi b/g/n, Bluetooth and GPS. All this powered by a 2,100mAh Battery. After the Success of Highly famous Canvas 2,Micromax is moving up the Food Chain,chewing up the market Share of major smartphone Brands in India like Samsung,Sony,HTC,Nokia,LG,Motorola,etc. Looks like Things are just getting better with every new launch by Micromax as their smartphones are made to cater Budget users ,who desire more features at lower price, Progress and profit is Imminent, especially when this segment of smartphone market is buzzing with frequent new launches by other Major rivals every now and then ,complementing which is the fact that the demand is relatively high for such budget phones. With Canvas HD hitting Stores by February priced at 14999INR, What are your thoughts on the latest release of the Micromax A116 Canvas HD ? Drop in your views, suggestions, comments below. Thanks for subscribing to Gizmolord and stay tuned for more updates!